I received an email from the Allotment Site Manager at the end of last week that said owing to a broken pipe the water at the allotments had been turned off, and would stay that way until further notice i.e. until they can locate and fix the leak. Not a major problem for me yet, as I have two large waterbutts which collect water from my shed roof, so I have some water for the time being. However if the weather stays the same for the next couple of weeks that water will be gone. At the moment the seedlings need something nearly every day, and although we’ve had the odd nighttime shower it won’t be enough. 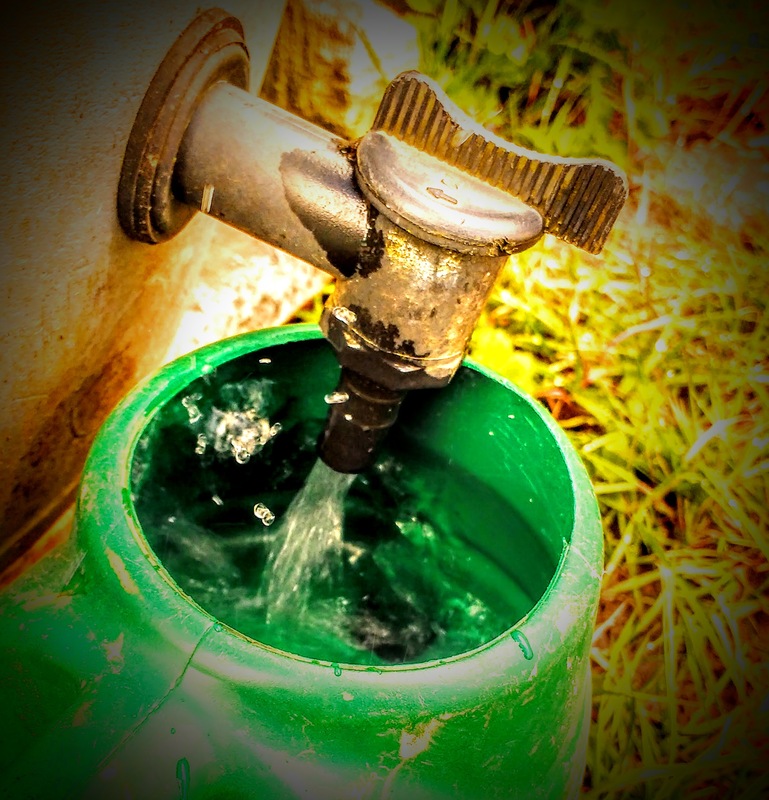 I think I have a solution in terms of how I can get water from home to the site if I need to, but I’ll write about that some other time (when I’ve tested it). It has sent a few others into a flat spin however in terms of getting water to their plots. Very few seem to have their own waterbutts and are reliant on the tap(s) to keep their allotments watered. Most seem to have taken to bringing water to site in camping containers and other portable water systems for now. 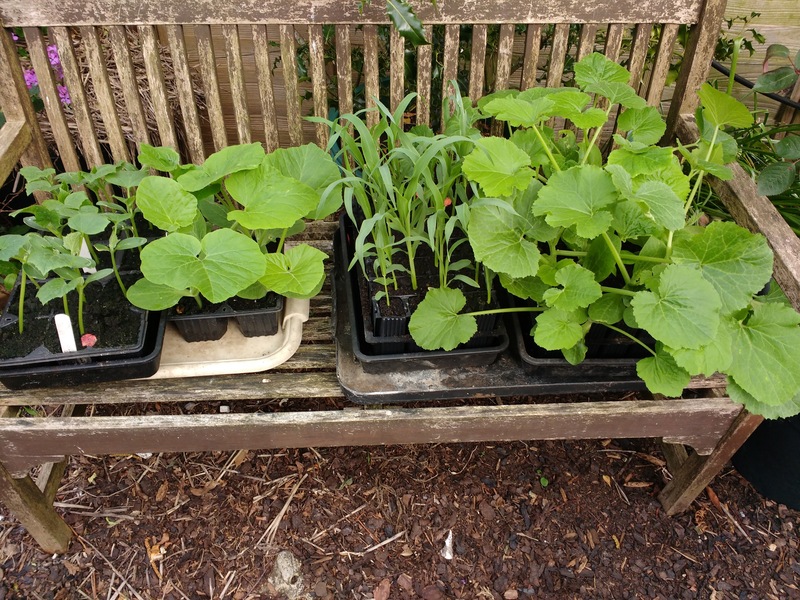 In other news the plants that I’ve been bringing along in the potting shed have been doing very well indeed (see above, from left to right; cucumbers, pumpkins, sweetcorn & courgette). I’ve started bringing them out into the back garden during the day now, as the potting shed has been reaching temperatures during the middle of the day of 40°C which is great for getting them going, but not so good if they are to go out onto the allotment soon, so I’ll be hardening them off. They’ll go back into the potting shed overnight. This entry was posted in Fork To Fork, Garden / Allotment, Self-sufficient, Video and tagged allotment, chinook, courgette, Cucumber, pumpkin, sweetcorn, water. Bookmark the permalink. Sounds like you better lock down those rain barrels of yours until the water supply problem is fixed. Hi David, the site which maintains / services the UK Chinook fleet is just up the road from us, so we occasionally get buzzed when they are delivering / collecting the aircraft. If the wind is in the right direction we can also hear them when they’re running up the engines on test (which they’re doing this afternoon). They fascinate me, as to how something so big, and inelegant looking can ever get off the ground let alone fly!